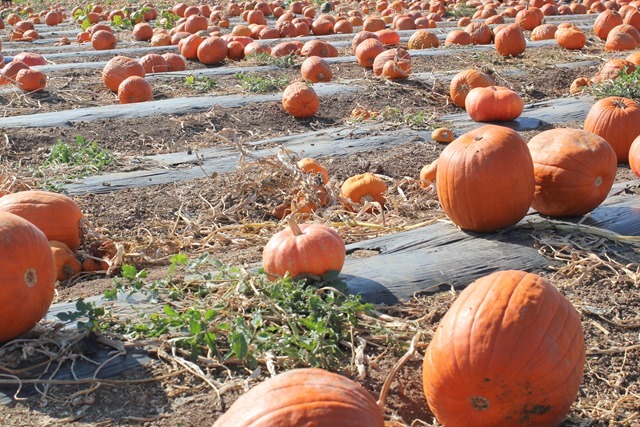 We went to a pumpkin patch and Hawke loved banging on the pumpkins and he really enjoyed being surrounded by pumpkins. Our Fall project life pages looks so festive. This is our first time visiting an actual working pumpkin farm and it was really neat to see it all. We want to visit during strawberry season. Halloween at Disneyland is so much fun. 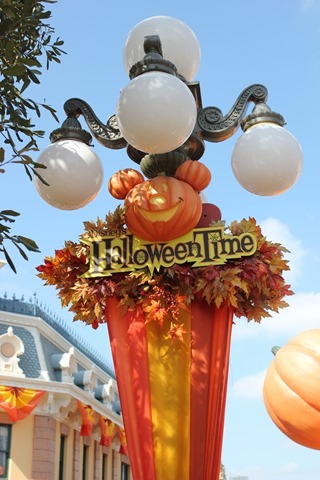 We don’t really experience Fall season here in SoCal, so we have to be really intentional in celebrating the season and going to Disney is one of the best ways to be surrounded by Fall season/Halloween decor. 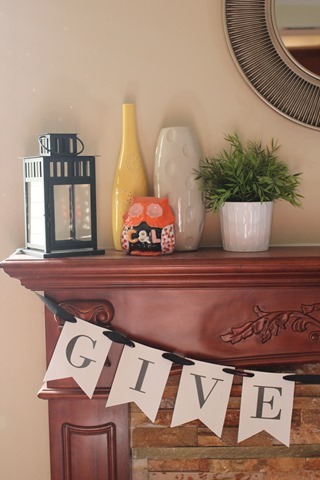 We skipped the Halloween decor on our mantel and instead I’m working on creating a Fall/Thanksgiving mantel. 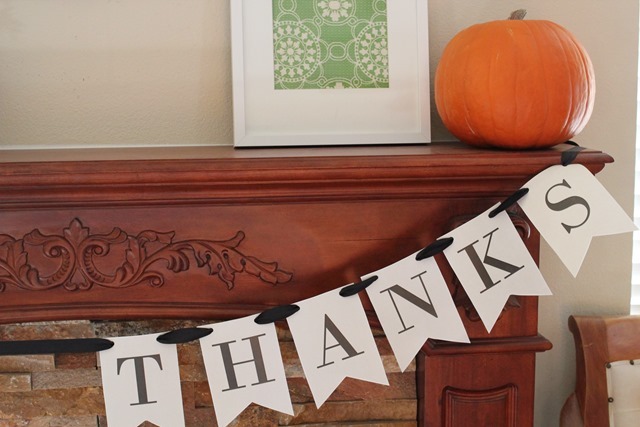 I printed the “Give Thanks” banner from pinterest. It’s my daily reminder to be grateful. 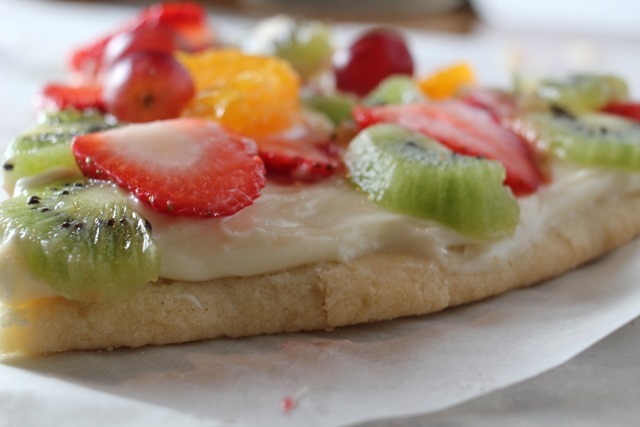 My dad celebrated his birthday this month and I made him a sugar cookie fruit pizza with buttercream frosting.. It was delicious. I’ve been asked to make it again for the holidays. Hope to share the recipe soon. Tis the season for this cinnamon flavored tea. Sweet & Spicy. 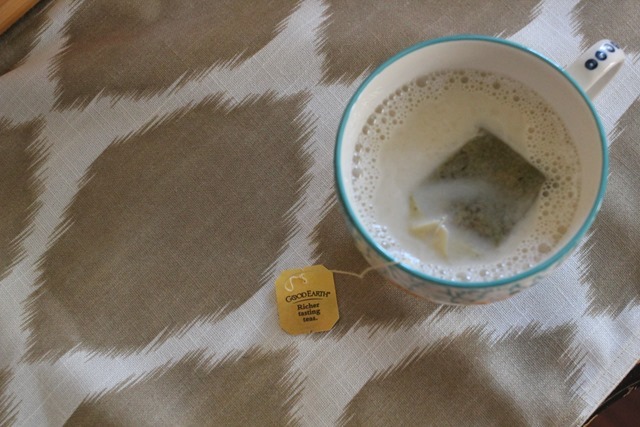 One of my favorite teas, especially with almond milk. Lots of bouncing around for Hawke. 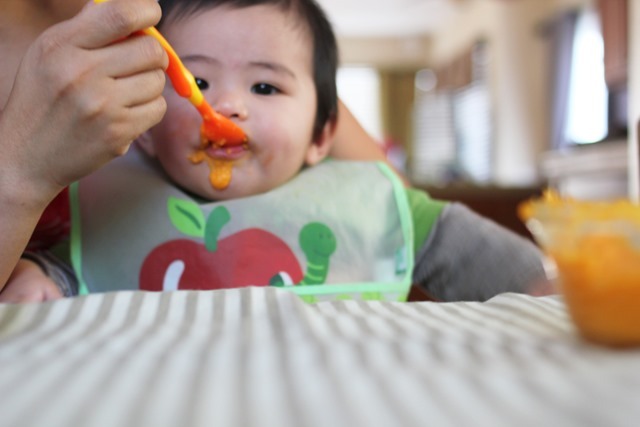 My little guy loves his jumperoo, more than he did when we first brought it out. He jumps around and watches me from the living room when I’m baking in the kitchen. 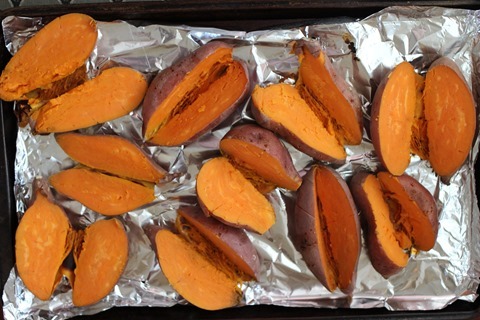 Roasting sweet potatoes and pureeing it for baby food. I saved a few for me, I eat it drizzled with coconut butter. 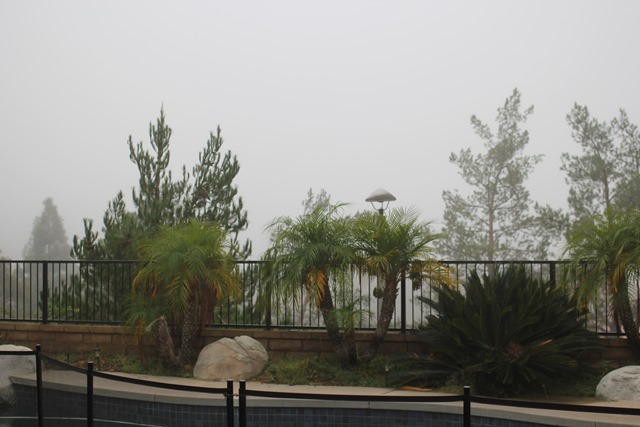 Foggy mornings. I love it for this time of the year. I love being cozy and warm inside the house, preferably while something is baking in the kitchen. Love the pumpkin patch 🙂 All of the kids are just SO happy. 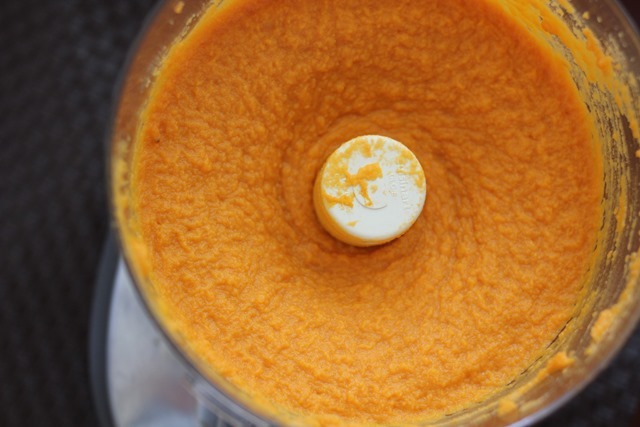 Yum to homemade purees. Can’t wait for the sugar cookie recipes. I rarely make sugar cookie anything because I can’t control myself around it haha. The pizza looks great! I love all the colors!